Summary: Staying with her Uncle Tom for Christmas break to help him with his dive shop, Beverley gets to do what she loves while hanging out in Kauai, Hawaii. Intending to take full advantage of her trip, Beverley decides the time she has in Hawaii is perfect for losing ten pounds and finding her first boyfriend. 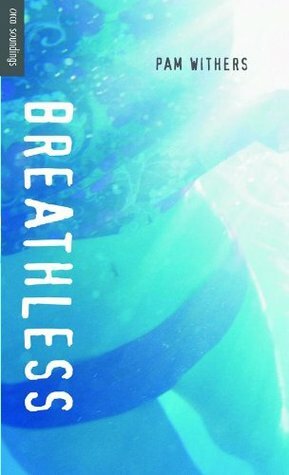 While she drastically cuts back on her food intake immediately, even before she starts losing the weight she meets Garth, a confident young divemaster who appears to be interested in her. Before Beverley knows it, she is breathless not only because of Garth’s persistent advances, but also due to her body’s malnourished state. Review: Convinced her slightly pudgy state is the reason she has no boyfriend, Beverley takes drastic measures to lose the extra pounds. But as a diving guide, not eating deprives her body of the necessary energy she needs to do what she loves. Thankfully she has people that love her and who notice what Beverley is trying to do, pulling her back from the brink when lack of food makes her tired and weak. With just 101 pages of story, I have to admit I was a bit confused when it came to Garth’s intentions. He’s a jerk who moves too fast and has trouble understanding the word no, but he’s not violent and he doesn’t try to hound Beverley when she’s under water, even when she mistakes his actions. I felt conflicted about whether I was supposed to like or dislike him, and while I was happy Beverley was going back to Winnipeg, I felt sorry for the other girls Garth would come in contact with in the future. Somehow, I don’t think leading guys only diving expeditions is going to stop him; he seems to be a predator and a charming one at that. Author Pam Withers’ tale is brief, but it’s a fast-paced, reluctant read exploring one girl’s journey toward a greater sense of self-esteem and confidence in her abilities. By the end of the book, Beverley had become someone who was willing to stand up for herself and admit to her mistakes, and while I questioned why she was still willing to associate with Garth I felt some respect for her. I had no memorable quotes. 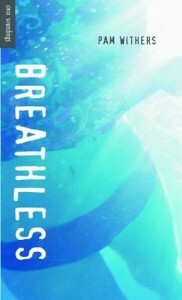 Breathless by Pam Withers is published by Orca Book Publishers, (2005).